The Camouflage 'Alpine' two button notch tuxedo coat is perfect for those who like the outdoor look with sophistication. This camouflage tuxedo coat features a self notch lapel with a black satin framed edge, a self top collar with black satin framed edge, self flap pockets, 31" length, center vent, and is fashioned from a Mossy Oak Polyester Pattern. 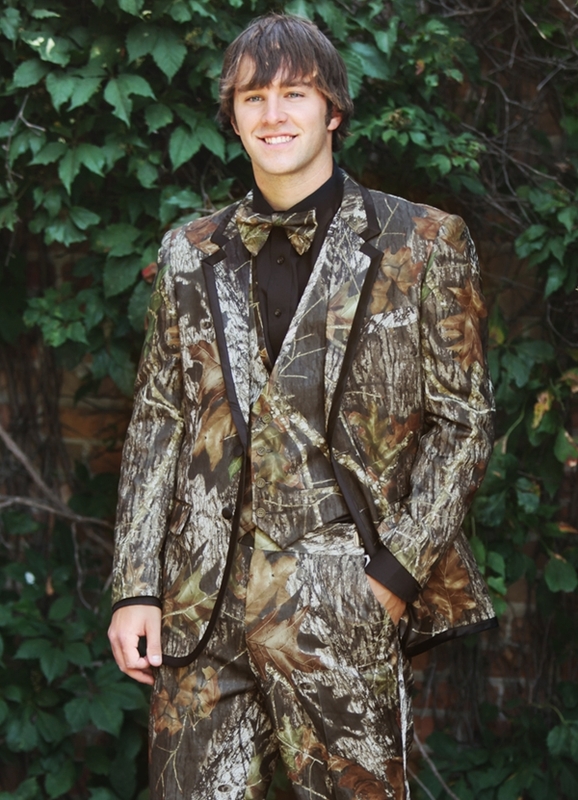 This tuxedo coat can be worn with black or matching camouflage trousers. This is one camouflage coat that won't help you blend in because you'll be the talk of the party!....In a good way of course!